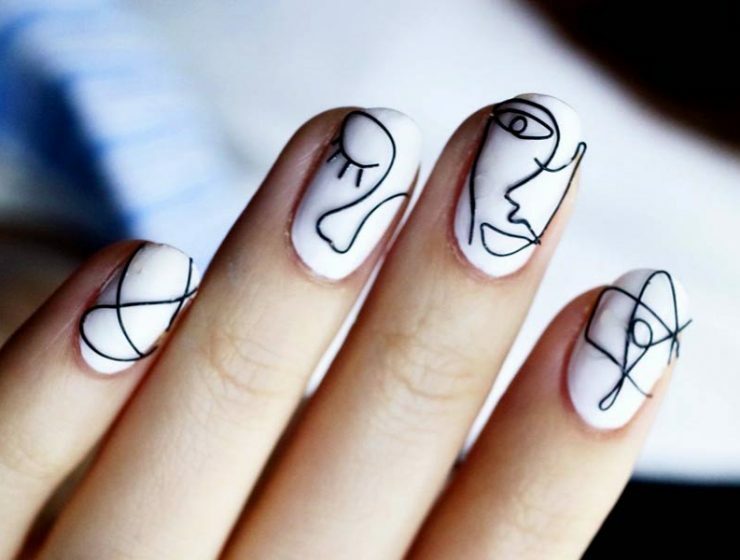 Nail art is so creative and artistic. Nowadays plain nails in one color are not enough. We provide some great nail designs that will transform your nails into the real masterpiece. 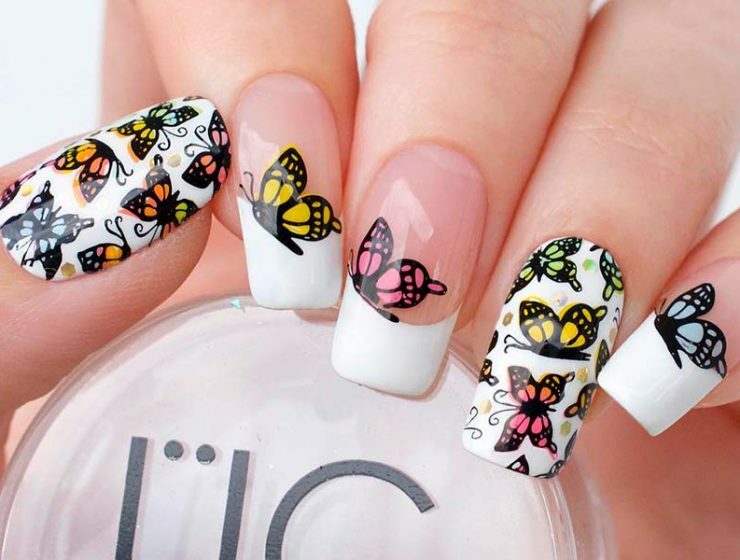 We have picked trendy and cute mani ideas from the collections by the most influential fashion designers. Celebrities rock them in everyday life and on red carpets. The best part about them is that no special skills are needed. Easy manicure art is real. To be honest, no one has an arsenal of tools and skills to copy some crazy designs. It is the reason we have found the best tutorials and ideas of easy nail designs. We are totally sure every beginner will cope with them. The only thing you are going to need is some office supply, like pencils or pins. Another advantage is that you can save a decent amount of money with these simple nail designs. 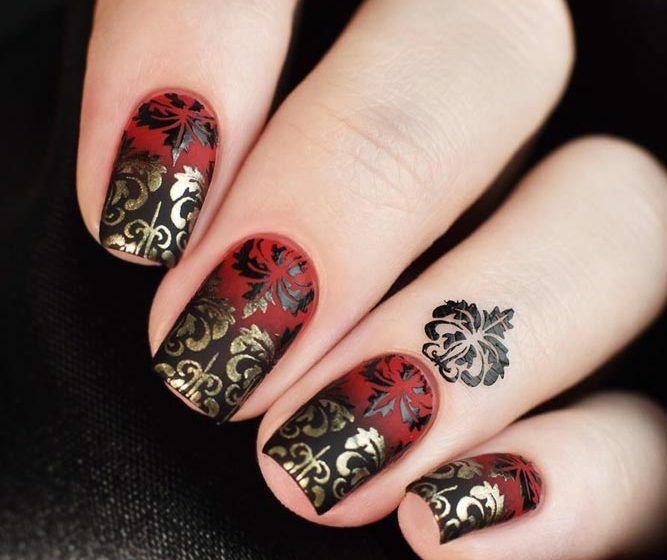 Damask nail art is exquisite and intricate, and you need to know how to introduce it into your manicure. Luckily, we have a complete set of ideas to share! Time to add some oriental vibe to your everyday look! Korean fashion nail art is a new sphere to discover, and we will take you with us to see all the wonders that it has to offer. Who knows what you may fall in love with! Korean nail art ideas will leave you speechless and inspired for a while, we can promise you that much! Sharpie nail art is the real invention for those of you who want their nails to look stylish and beautiful but be easy to succeed with at the same time! Drawing on your nails with a sharpie is a straight way to manicure masterpiece creation! Zebra print nails are as versatile as all the other animal print nails that is why you are bound to know about the trendy ways of pulling the idea off. We have a ready compilation to help you out at hand. Amazing zebra patterns to emphasize your stylish and wild nature! Anchor nails are trendy and great looking. That is why it is time you master the art of anchor accenting your nails. Fresh tutorials together with newest manicure ideas are waiting! 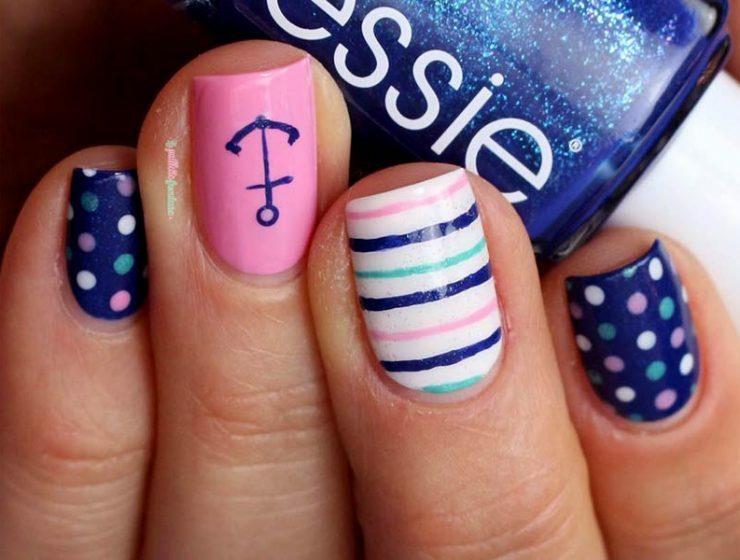 Spice your summer with trendy anchor nail art ideas! 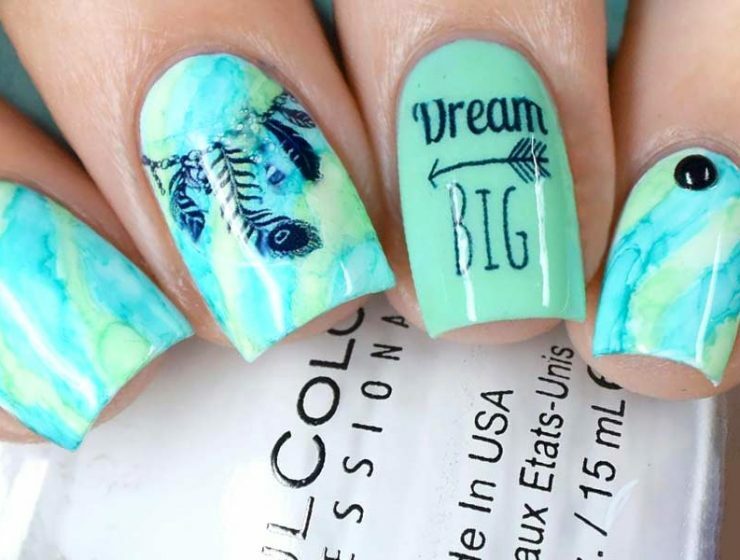 With nail designs like these, your nails will never go unnoticed! Harry Potter fan art nails are the unique possibility to get away from reality for at least a while, and it seems that there cannot be anything better than that! It is time to dive into the world of real and special magic and witchcraft! What are you waiting for? Every girl likes presents, and now you have a complete guide at hand to be able to surprise her on a regular basis! 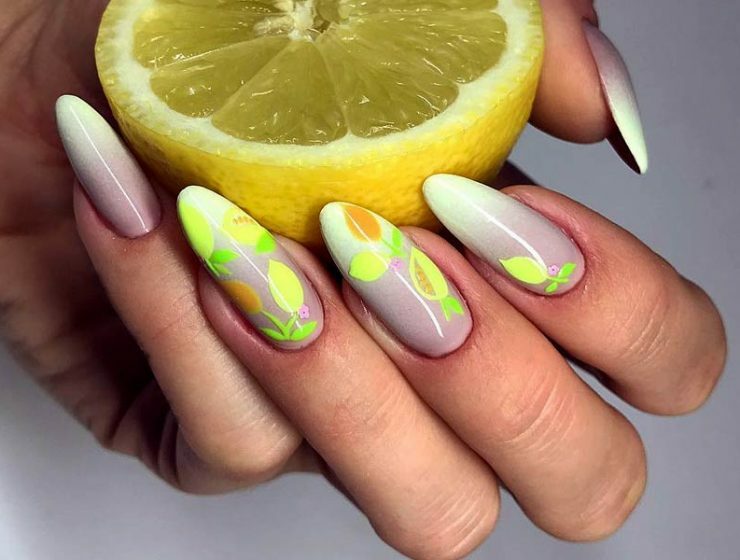 Citrus fruits nails are the new trend, and you better be in full armor to great the season. With this simple but fabulous tutorials, you will be on edge no matter where you go! Citrus nails are the final detail to make any look finished and complete not to mention radiant! Copyright ©2019, Nail Designs Journal | Some rights reserved | All trademarks, logos and copyrights are the property of their respective owners.